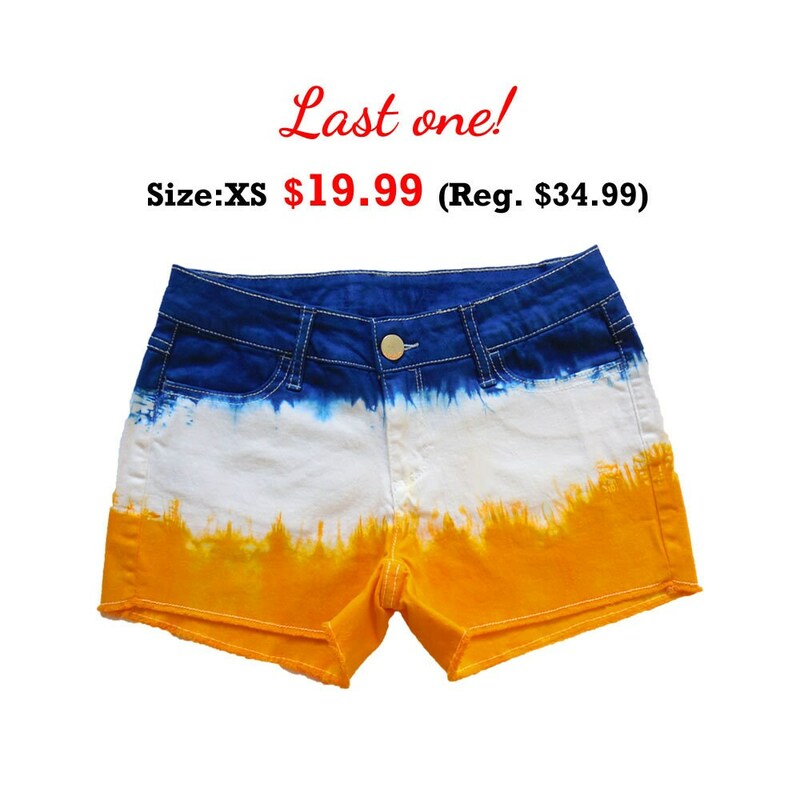 Eye-catching blue/navy, white and bright gold tie-dye denim shorts are professionally dyed and treated for longevity with permanent, vibrant colors. Each one is unique! 98% cotton, 2% spandex. 1 Left! XS (0-2). $19.99 (Reg. $34.99).